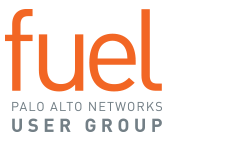 Fuel is governed by a volunteer Board of Directors, composed of Palo Alto Networks® users and cybersecurity experts with a wealth of collective knowledge. John is an Information Technology & Security executive with over thirty years of progressively responsible experience. He is currently the Chief Innovation and Information Officer for DeKalb County, Ga., a position he has held since 2012. John’s duties include executive management of all information technology and security resources and systems that support the County's operations, as well as driving innovation throughout the County enterprise. John has a B.S. in Computer Science and a M.B.A. with an emphasis in Computer Information Systems from Arizona State University. He has been an active member in user groups since 1997, and has served on the board of directors of three other global technology user groups. Blake is a 15+ year veteran of the IT industry, having worked in the agriculture, news media, financial, and telecom industries. Blake currently works for CenturyLink in a hosting, network and security role. Blake has worked in many facets of IT, from front-line support and managerial roles to network engineering and security positions. Over the past five years, Blake has worked primarily in cybersecurity as a Senior Security Engineer, with Palo Alto Networks Firewall technologies as the core element. Blake lives in Fort Worth, TX, and has two beautiful daughters and a wonderful wife. Blake is an avid gardener and is active in his local church. George Finney is the Chief Security Officer for Southern Methodist University and the author of three books on cybersecurity and has taught Cybersecurity and Information Assurance in the SMU School of Engineering. Before joining SMU, George worked with several startups and global telecommunications firms designing networks, writing policy, hardening servers, and educating users. George received his J.D. from Southern Methodist University's Dedman School of Law and his B.A. in mathematics and philosophy from St. John's College in Santa Fe, New Mexico. George is a member of the Texas CISO Council, a governing body member of the Evanta CISO Coalition, and an advisory board member for SecureWorld. George is an licensed attorney in the state of Texas, a Certified Information Privacy Professional, a Certified Information Security Manager, as well as a Certified Information Security Systems Professional and is a frequent speaker on Cybersecurity topics across the country. Michelle is a well-known volunteer leader in security and database communities. Her deep technical expertise, from database to cloud appliances, as well as her senior level contributions as a speaker, author, Oracle® ACE Director and customer advisory board participant have aided many corporations across architecture and risk assessment, purchasing and installation, and ongoing systems oversight. Mario is a CEH and Fuel original member from Los Angeles, California, and has been working and teaching in cyber security for ten years. He currently works as a Data Communications Specialist for the Los Angeles Community Colleges District and has been using Palo Alto Networks technologies for the past six years. Mario is working on a Master's degree in Information Security and Assurance from Western Governors University. Gary believes there is no right way to do something, that diversity is imperative for growth, and that finding new ways to solve old problems requires bold moves. After spending over two decades working for NASA and founding several technology startups, including Network Chemistry, Gary knows what truly drives innovation. It’s about connecting with people you’re trying to help and communicating your understanding back to them. In his free time, Gary loves getting outdoors in Southern California with his wife Daina. Gary holds a MS in Computer Science from Stanford University. Fraser has been part of the Fuel User Group from the early days. Prior to being elected to the Board, he was part of the Fuel Community Development Council. He has an MS in Geography from the University of Southern Mississippi. He has been supporting IT in the environmental consulting services arena for 15+ years in both a large enterprise, and small business environment. When he is not on his bike he and his wife are probably out walking their two blue heelers. Steven Webster joins Fuel User Group as a 20+ year veteran in IT, ERP, Software Development, Saas and yes, Marketing. Getting his start in IT at an Inc. 500 Company, Steven quickly adopted a rapid change management approach which led to rolling out ERP systems for some of the world’s top brands. After co-founding a Saas and running product marketing and marketing for 15 years, Steven joined a networking giant where he grew community, Digital Marketing and finally Brand and Corporate Marketing. Joining Palo Alto Networks in December of 2017 his focus is on ensuring customers have access to the tools, information and people they need to be successful in today’s cybersecurity landscape. His team acts as the liaison between Fuel and Palo Alto Networks. Steven lives in Seattle, has three children and three dogs and enjoys hiking, paddling and boating in the Pacific Northwest. Josh joins Fuel User Group with two decades of experience working in technology client services organizations. In recent roles, he has served as an executive director, COO, channel manager, partner and sales manager. Josh has a M.B.A. in Technology Management from University of Phoenix and a B.S. in Organizational Behavior from University of Illinois College of Commerce & Business Administration. Josh was born and raised in Chicago and has three young kids whom he likes to hang out with as much as possible.